Watford Piscators | Seen a cormorant or goosander? Seen a cormorant or goosander? Angling Trust alongside Angling Trades Association, and the Predation Action Group has recently launched Cormorant Watch 2, a website where recordings of cormorant numbers and presence can be made as part of the campaign to increase the numbers which can be shot. 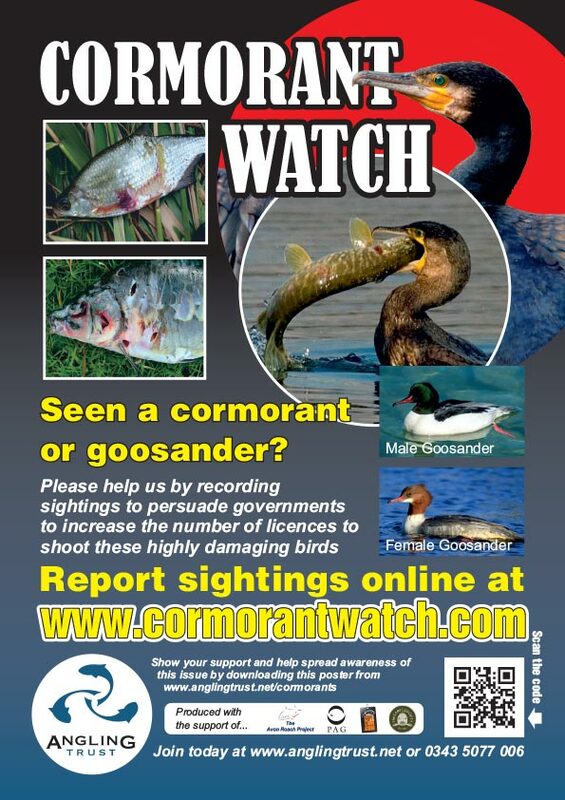 Please report any sightings on www.cormorantwatch.com so the Angling Trust can try to persuade governments to increase the number of licences to shoot these highly damaging birds.